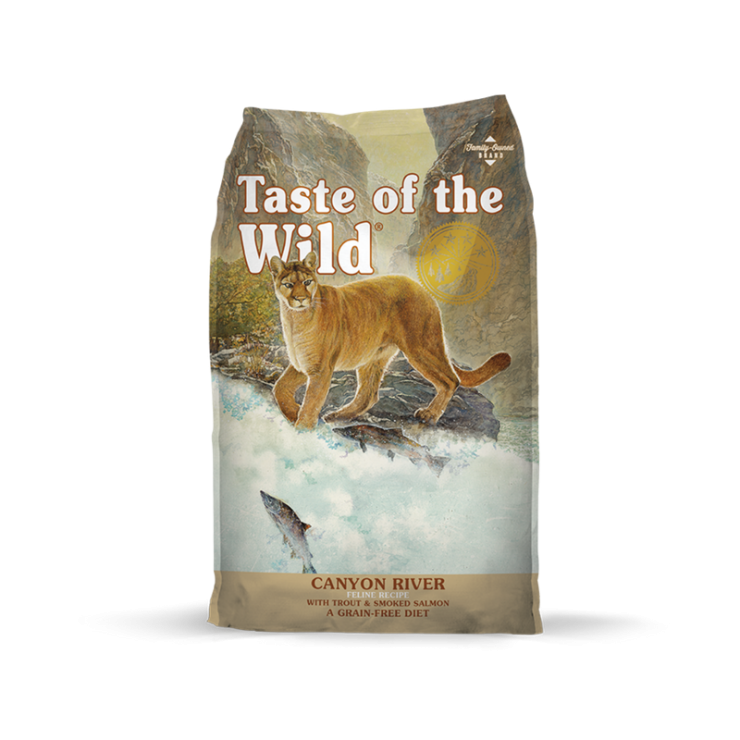 Give your cat a wholesome treat with Taste of the Wild’s Canyon River Feline Recipe. What wild cat doesn’t crave the taste of a fish dinner? Made with trout and smoked salmon, the only source of animal protein in this formula is fish, so it can be a good option for cats with food allergies or sensitivities. Nutrient-packed vegetables and fruits provide antioxidants to help support a healthy immune system and overall vitality, just like nature intended. Species-Specific Probiotics – Healthy digestive and immune systems are vital to the overall health of your pet. Our proprietary Viables Probiotics are developed specifically for cats and added after the cooking process to ensure viability. Each pound of Taste of the Wild provides 80 million live, active cultures that help support healthy digestive and immune systems. Taurine – This essential amino acid is beneficial for all cats and helps to maintain healthy heart and eyes. All Life Stages Nutrition – Formulated to meet the nutritional needs of your cat throughout all stages of life, from kitten to senior cat. Antioxidants – Vegetables and fruits, including sweet potatoes, tomatoes, blueberries and raspberries, provide nutrients that help promote your cat’s overall well-being while guaranteed levels of zinc, selenium and vitamin E help support the immune system.